Though comic books may not be the first place you consider looking for sports, the way that they combine powerful stories with powerful artwork makes them a great vehicle for telling sports stories. Many creative teams have taken advantages of what the format has to offer to tell exciting stories of athletes, competition, and teamwork. 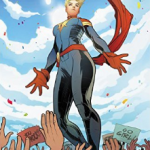 This list highlights just a few of these comics that are perfect for fans of sports and the competitive spirit. 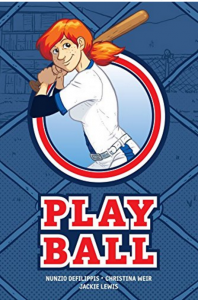 Play Ball by Nunzio Defilippis and Christina Weir with art by Jackie Lewis – When Heather “Dashiell” Brody has to move across the country to a new school with her mom and sister, she finds at least one silver lining: Now that she is at a coed school, she’ll finally be able to play on a baseball team! Once she manages to fight her way onto the team, she realizes that she’ll still have to prove herself to her teammates and their opponents. Will her efforts to be a baseball pioneer be worth it? Or will it all be for nothing? This is a great read for any baseball fan or athlete, particularly those who feel left out of America’s National Pastime. 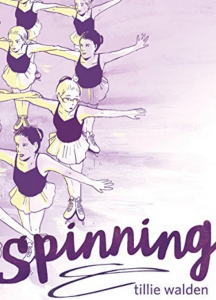 Spinning by Tillie Walden – As a child, Tillie Walden spent years as both a solo figure skater and a member of a synchronized skating team. In this memoir, she details her life on the team, offering a very personal look at her skating career and her teenage years. Readers learn about the commitment that Walden showed for the sport, the relationship she had with her family, and her own process of coming out through this honest autobiography. In an author’s note at the end, Walden notes that she focused more on exploring her memories of this period of her life than fact checking all aspects of those memories, but this in no way detracts from the story, which is a deeply personal, relatable and compelling read. Slam! 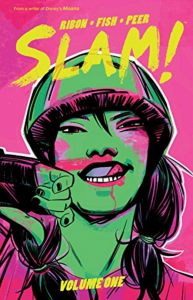 by Pamela Ribon with art by Veronica Fish – Written by a retired member of the Los Angeles Derby Dolls who also happens to be one of the authors of the Disney movie Moana, this comic captures the spirit of the rough and tumble sport of roller derby where there are strong friendships, plenty of competition, and maybe a little bit of blood. The story focuses on a diverse group of women who compete on two opposing teams, including Jennifer Chu and Maise Huff, best friends who find themselves on competing teams. 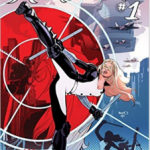 The comic make readers want to put their skates on and join a team for sure. Check, Please by Ngozi Ukazu – If you’re a fan of hockey or Tumblr, you’ve probably already heard of the webcomic Check, Please, but if you haven’t and you like sport, it is definitely worth checking out. It follows two players on the hockey team at the fictional Samwell University. 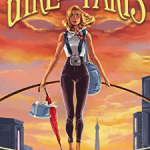 The main character is Bitty, a figure skater who turned to hockey for a college scholarship. 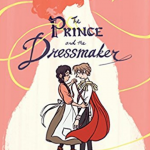 He’s a vlogger and the comic frequently focuses on his vlogging and baking, but most of the time the story focuses on his burgeoning relationships with his teammates, particularly the captain of the team, Jack. The story mixes the best parts of sports stories and romantic comedies to be a very fun read. It is well worth checking out online and, it has been announced that First Second will be releasing the comic in print starting in the fall of 2018, so soon enough you’ll even be able to add it to your shelf. Fence by C.S. Pacat with art by Johanna the Mad – Set in the world of competitive high school fencing, this series, which debuts this month, follows Nicholas and Seiji, who are both 16-year olds on the fencing team at their private boys school. Though the series is a love story, the focus on fencing will remain central with a lot of time and devotion spent to getting the technical details right. It promises to be a great series, particularly for serious fans of fencing. Buzz! by Ananth Panagariya with art by Tessa Stone – In Buzz! readers are confronted by a world where there are “unsanctioned street level spelling bees” and even the sanctioned spelling bees are more like MMA fights than academic affairs. It may not be a traditional sport, but played this way, it definitely captures the intensity of athletic competitions. 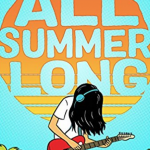 The story follows Webster, who really just wants to survive high school, as he falls into the world of spelling bees without really trying and gets tangled in intrigue and lawbreaking along the way. The story is a fun romp with art that perfectly complements the story and brings these competitions to life using a color palette of just black, grey and yellow. Hopefully this list will offer plenty of options for any sports fans you might know. Add your own favorite sports comics to our list in the comments!